Working in partnership with both Blackpool Council and Network Rail, Story Contracting were engaged as principal contractor to replace the busy Plymouth Road bridge. This scheme needed advanced works to divert gas, electricity and telecoms utilities on to a temporary service bridge for the duration of the project. Story Contracting then needed to divert a 28in high pressure water main into a newly constructed service bay on the east side of the bridge, ahead of the main demolition phase. The existing bridge was then removed and replaced with a new bridge deck, bearings, bearing shelves and parapets. The team needed to raise the soffit height of the new structure by around 800mm as part of the future electrification of the Preston and Blackpool North Branch railway line, and incorporate new retaining structures to the bridge approaches. We maintained pedestrian access over the railway throughout the duration of the works and the bridge was re-opened three weeks ahead of schedule. 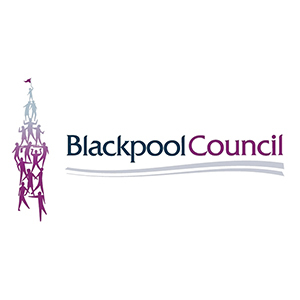 Our project team worked closely with Blackpool Council and the local community, organising phased letter-drops to local residents, businesses and organisations, as well as engagement with the local press, to ensure the works were well publicised and motorists were kept informed. Engagement with the local schools ensured that children in the area understood the dangers associated with construction sites, and we also aimed to inspire the youngsters about a potential career in the construction industry. As a result, 17 school pupils were offered the opportunity to ‘apply’ to take part in a supervised visit to site. Further involvement with the community saw a time capsule placed on the bridge by the children to mark its opening. The combined partnering and framework approach between all the various stakeholders including Blackpool Council, Network Rail, Story Contracting, Wildes Consulting Engineer’s and the various Utilities have been vital to the success of the project. The results of the bridge project are fantastic and recognition of the partnership work we were all engaged in.